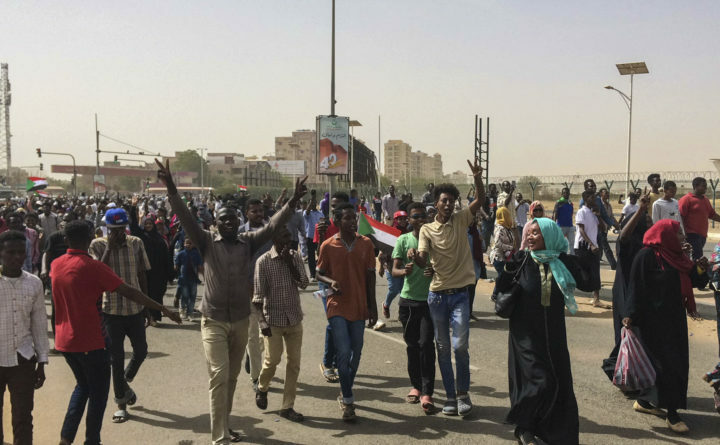 Sudanese celebrate Thursday after officials said the military had forced longtime autocratic President Omar al-Bashir to step down after 30 years in power in Khartoum, Sudan. Looking back, we see that only once, after the 1985 coup, has the Sudanese military allowed democratic elections. And the results of those elections were short-lived. Three years after Sadiq al-Mahdi won the 1986 presidential vote, he was ousted by the military — in the coup that brought Bashir to power. Rebecca Hamilton is an assistant professor of law at American University’s Washington College of Law. She is the author of “Fighting for Darfur,” and was a special correspondent covering Sudan for The Washington Post.